Is a Luxury Coupe or a Luxury Sedan a Better Option for Drivers in Gretna, LA? If you are a driver in Gretna, LA, you may be asking yourself whether you should buy a luxury coupe or a luxury sedan. Both options have their pros and cons, which can make it difficult to make the best decision. And to make it worse, not every driver has the same needs, which means that one car might be better for one person, and the other might be better for someone else. But don’t worry. By asking yourself the following questions, you can determine the right ride for you. This is probably the first question you should ask yourself when you shop for a car in Gretna, LA. If you need a lot of space, you will probably want to buy a sedan (or even an SUV). Coupes have a limited amount of space, and you may not be able to fit everything you need in one. This is especially true if you have kids. However, not everyone needs a lot of extra space, in which case, buying a coupe can be very convenient. Think about this question before you decide to buy. How Much Does Fuel Efficiency Matter to Me? While different makes and models vary, you can expect to get better gas mileage when you choose a luxury coupe. These cars are small, meaning that they don’t have as much weight to carry. When that is the case, you won’t have to pay as much for gas. This can save you a ton of money over the course of the year. However, you can still find fuel-efficient sedans, and the difference between the two may not be that significant. Just check out the specific models you are looking at to determine the best choice for your needs. What Style Do I Like? Style may not be everything when you’re looking for a car, but that certainly doesn’t mean that it doesn’t matter. You want to make sure that you love your car inside and out whenever you drive around Gretna, LA. Therefore, ask yourself whether you like the look for a coupe or sedan better, and make your decision accordingly. These are just a few ways to choose between a luxury coupe and a luxury sedan. Need more help? 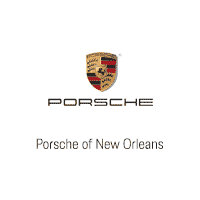 Come to Ray Brandt Porsche and speak to a professional. 0 comment(s) so far on Is a Luxury Coupe or a Luxury Sedan a Better Option for Drivers in Gretna, LA?